Happy Friday friends! Today I'm sharing another one of my convention swaps! I think this card was my favorite! I used The Gingham Garden DSP...love this paper! I also used the Dozen Thoughts and Chalk Talk stamp sets and the Chalk Talk Framelits. The stamp set and the framelits have been my most used lately! So I hope you don't get bored with seeing them so often? I took my card a step further today and I'm showcasing an envelope...I know you're saying what so neat about an envelope! Well I lined my envelope using our new Envelope Liners Framelits Dies that will be out next week....these are just too cool! Great way to use DSP...which don't forget the sale ends next week...Buy 3 get 1 FREE. Here's my card and envelope! I'm going to have so much fun lining envelopes. The liners come in 3 sizes! 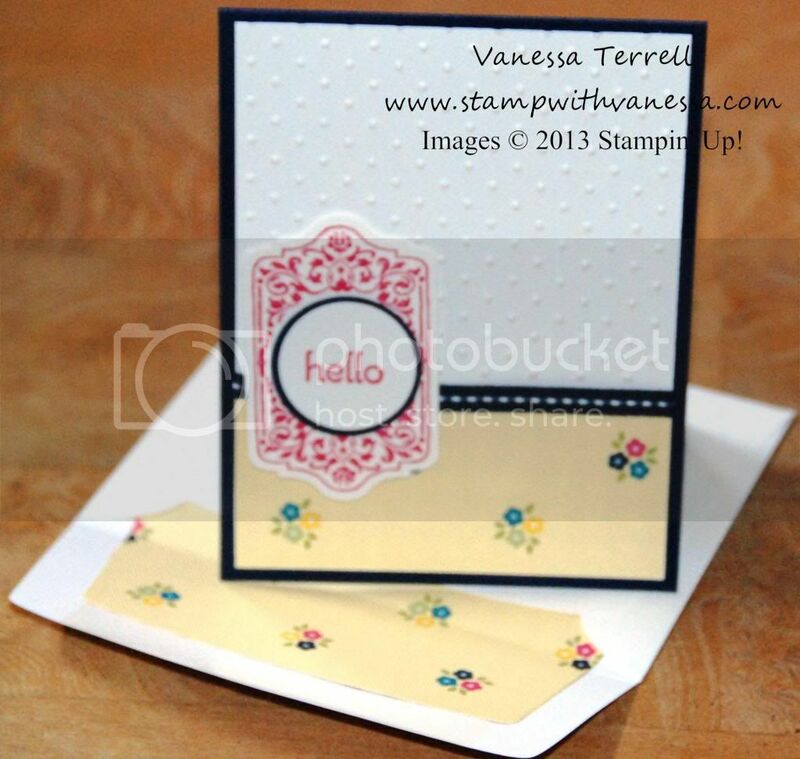 Labels: Big Shot, DSP Sale, Hello, Stampin' Up!